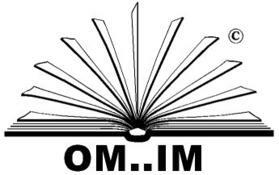 Out of Your Mind...and Into the Marketplace is an independent publishing company founded in 1986. They are a publisher of entrepreneurial books in print and eBook formats. Most of them have been authored by Linda Pinson, nationally recognized author, educator, professional development trainer, and business plan expert specializing in financial management. Out of Your Mind...and Into the Marketplace publishes books for business start-up, small business accounting, and business planning. The company is also the developer of Automate Your Business Plan, the stand alone software companion to the book, Anatomy of a Business Plan, now in its 28th year and 8th edition. These publications are targeted to individuals who need education in the area of small business. The books and software are also used extensively as required course materials in universities, colleges, business education centers, etc. (with free Instructor’s Manuals available for educators). Various editions have been localized (UK and Australia) or translated into languages such as Chinese, Spanish, Italian, etc. for use in the U.S. and in foreign countries. Rights are available for new editions.